On days like this, when it’s cloudy and cold, I wish I had a magic Genie that could grant me three wishes. I don’t even need all three, I really just want one. Take me back to Barcelona, Spain. 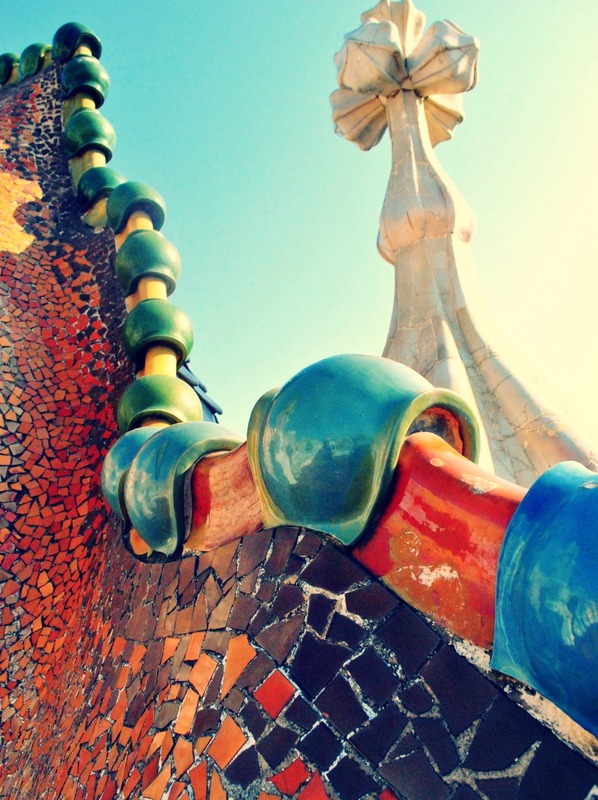 I traveled throughout Europe last summer, and Barcelona was one of my favorite cities. For one, I speak the language, well at least Spanglish, and two it’s the perfect mixture of an urban city and seaside town. I live right outside of Washington, D.C. so that description can technically describe my area as well, but what makes Barcelona completely different is its atmosphere. The culture is so unbelievably rich, filled with music, theatre, and some of the most beautiful architecture I’ve ever seen. In fact, I dedicated an entire day, I named it my Gaudí Day, to the work of one of, if not the most influential Architects in Barcelona, Antoni Gaudí. His work is so amazingly detailed that I could barely capture the beauty of his art in one single shot.